Thanks to a village of husbands, babysitters, grandmothers, and neighbors, two girlfriends and I took a 28 hour climbing trip to Tahoe last weekend, seven years and five kids after our last climbing trip together. How time flies when you are raising young children. We chatted our way through traffic on Saturday night and arrived at a friend's cabin at 11 PM. We stretched out our car-cramped bodies, shared some wine and brownies, and talked about our kids until after midnight - each of us processing the separation and managing to feel both guilty for being away and guilty for thinking and talking about the kids on our one chance to be away. How you can always feel conflicted when you are raising young children. A bit behind schedule, but blazingly fast relative to kid-getting-ready-speed, we set out the door for the morning climbing session at Big Chief. We drove and hiked to the crag and then took turns putting up and climbing several routes. It had been years since I had lead outside and it felt great to push that mental edge a little; to need to do deep breathing to keep my head together; to work to the point of failure on a climb that was a hard, but seemingly doable project. That is, if I was into having a project. How one hard climb can leave you sore and shaking for hours when you never climb outside anymore because you are raising small children. After lunch and a bout of extremely indecisive group decision making, we decided to brave the 90-plus degree temperatures and finish the day climbing at Road Cut rather than swim and lounge at the lake. Once again, we benefited from the strongest among us who put up a fun climb that we could finish the day on. 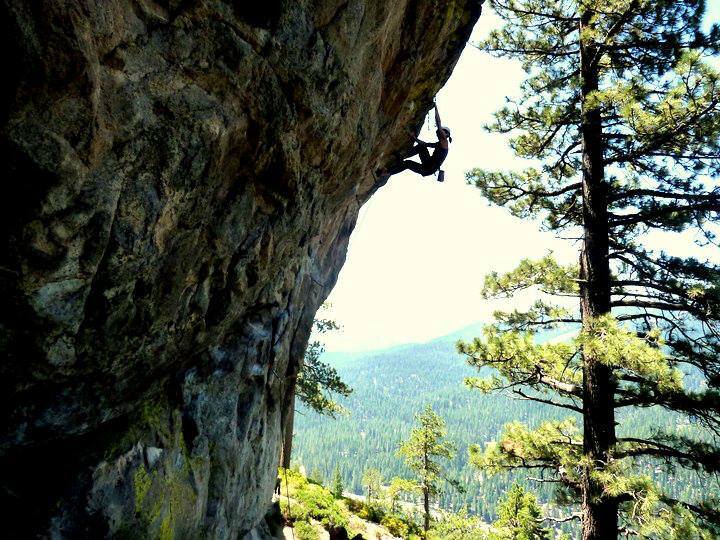 How seeing someone climb hard inspires me to want to become a really good climber, even though I know I can't spend every weekend climbing instead of raising my small children. See above for "conflicted". As in always. 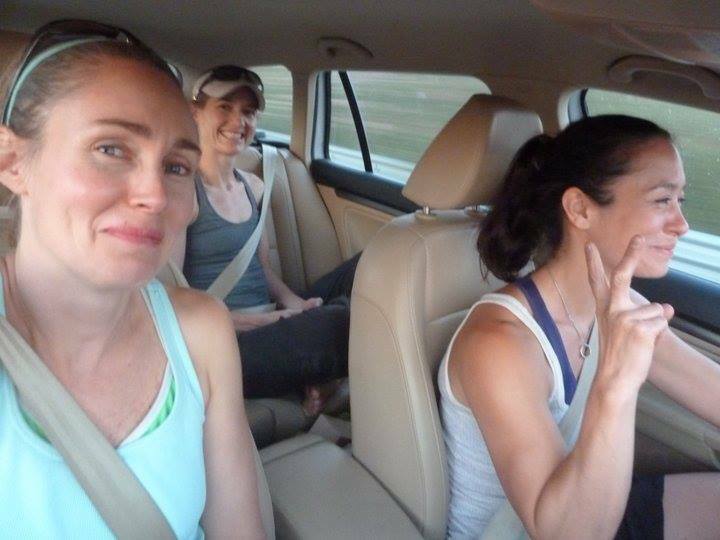 The ride home was easy, the gossip was gentle, and I felt a warm feeling of satisfaction from the physicality and camaraderie of the day. 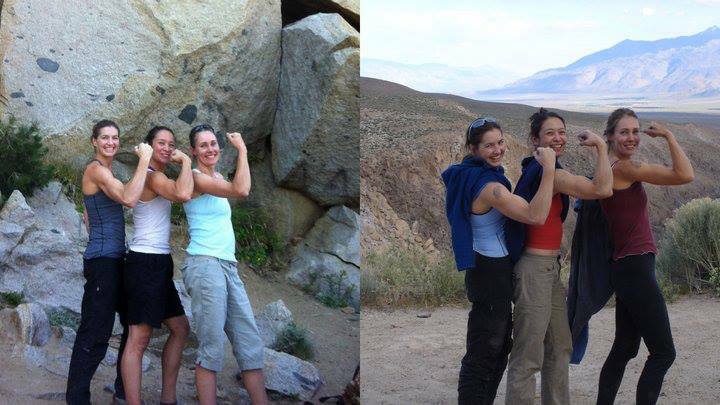 I really loved seeing the three of us - all in our late 30s and early 40s, all moms, and all professionals in our own right - looking as awesomely dusty, buff and grimy as we looked in our twenties. If this is what it is like to be middle aged, I'm in. How good friends and fun adventures are priceless, especially when you are raising young children.